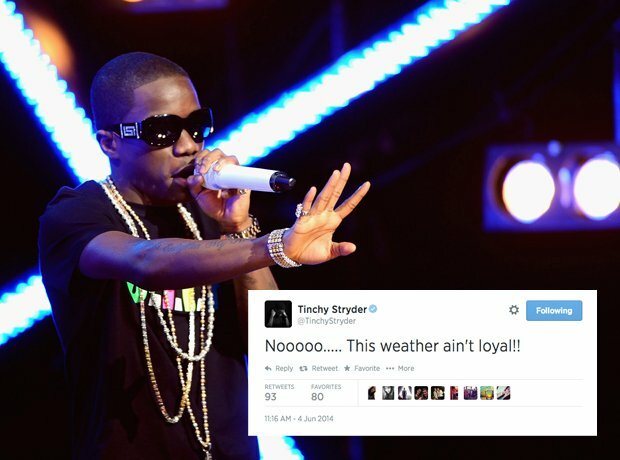 Tinchy Stryder was fed up with English weather. Rain. Sun. Rain. Sun.